For an experienced rider there’s a great choice. If you are an experienced, competent rider, there’s a great choice of exhilarating, fast riding in Southern and East Africa. 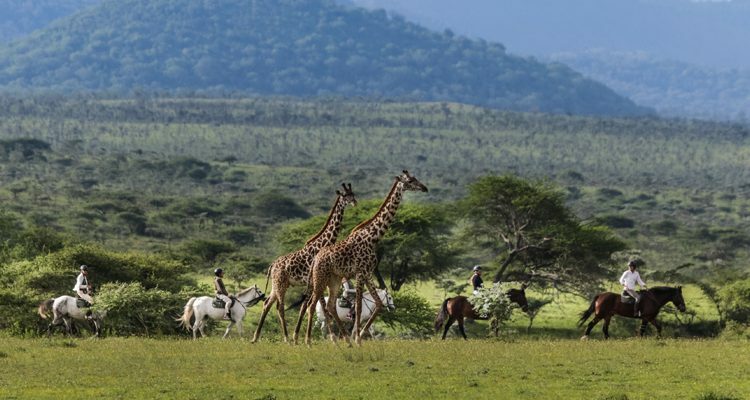 In Kenya you can ride across the Masai Mara with the wildebeest migration, head to Botswana and explore the magnificent Okavango Delta, or ride up close with the Big 5 in South Africa’s Kruger region. 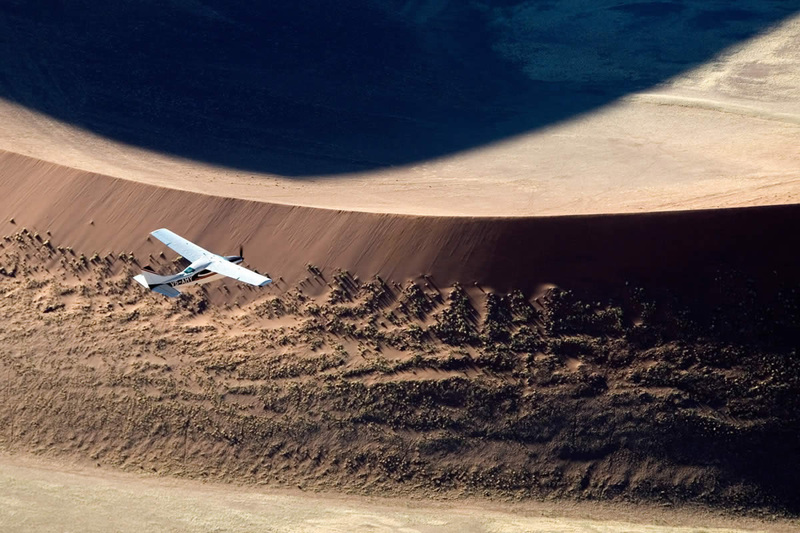 But what should you do if you are a keen enthusiast, or perhaps rode as a child but not for some years, or are just learning to ride and want to put your new-found skills to the test in the African wilderness? It’s not as impossible as it might seem. 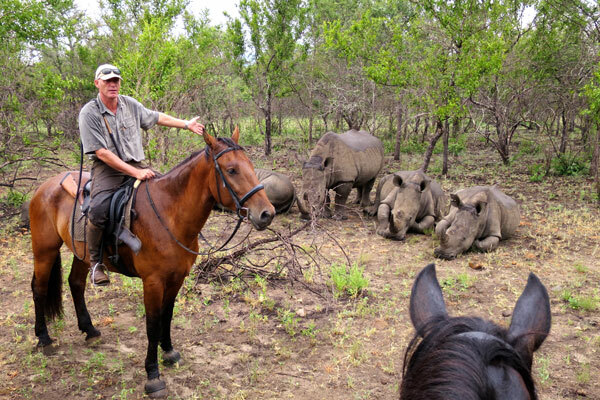 Here are some tips from the riding safaris experts at Aardvark Safaris. This is key to your safety and enjoyment. 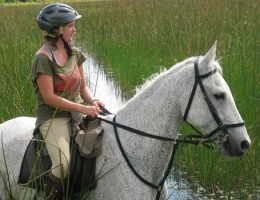 If you are a beginner, say so and the riding lodge will provide you with a calm and patient horse. If you are an enthusiastic intermediate let the lodge know and they’ll find a horse to match your riding ability. 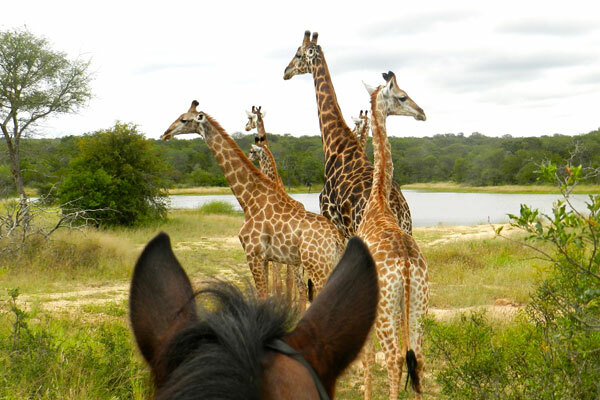 The safari lodges we work with cater for everyone from absolute riding beginners to Olympic equestrians so we’re not exaggerating when we say there’s a horse to suit every guest. If you spend your days perfecting dressage moves in a riding school you might find the African wilderness a bit intimidating. Go hacking in the countryside and make sure you are confident riding in wide open spaces at all paces. 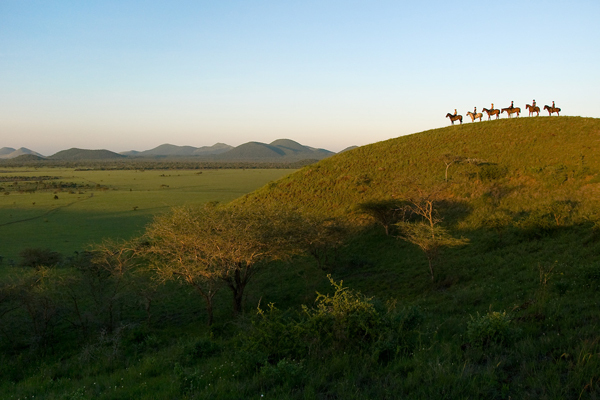 If you are going to ride more than once while you are on safari, it’s a good idea to get your riding muscles in tune. In the months before you depart try and ride at least once a week. It’ll help avoid that ‘John Wayne walk’ when you’re in Africa. 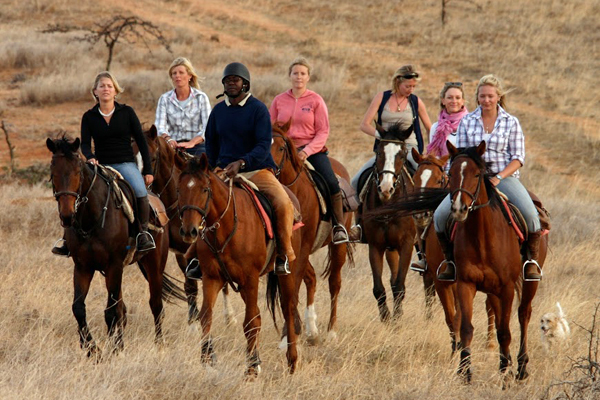 There are riding safaris to suit all abilities – whether you want a gentle ride from your lodge for an hour or two, or are keen to try a fully mobile riding safari adventure for a week. 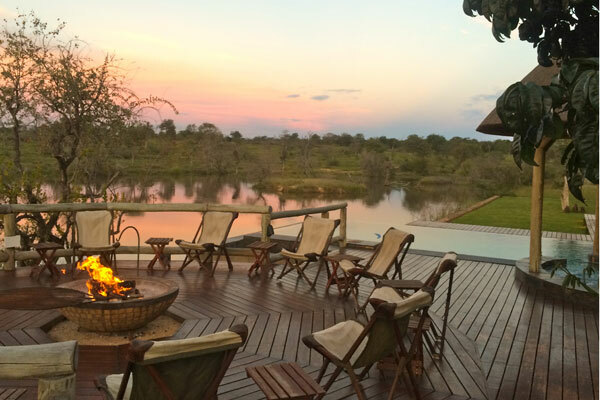 Great options for beginners are lodges offering riding as well as other activities including swimming pools and spas, walking safaris and game drives. 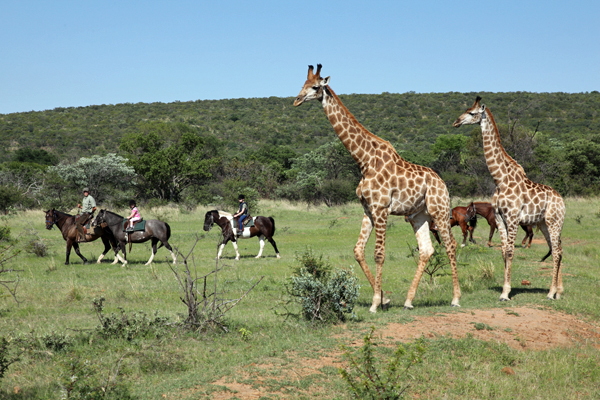 For riding adventures following wildlife through stunning scenery have a look at mobile riding safaris. If you’re a novice rider or a bit rusty have some lessons before you leave. The more confident rider you are, the more enjoyable your African riding experience will be. For the very best tuition look for a riding school listed in the British Horse Society Approved Riding Schools. There are even options to continue learning while in Africa. Wait A Little’s Fit For Safari Ride is great for competent novice to intermediate riders wishing to improve their skills while on holiday. Here are some holiday ideas for beginner/novice riders. It might help to seek impartial advice from a riding expert about your intended destination – that’s where we come in! 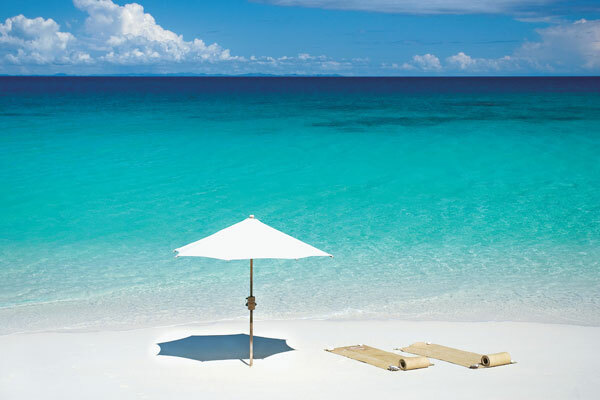 It’s your precious holiday and you want to have a good time. 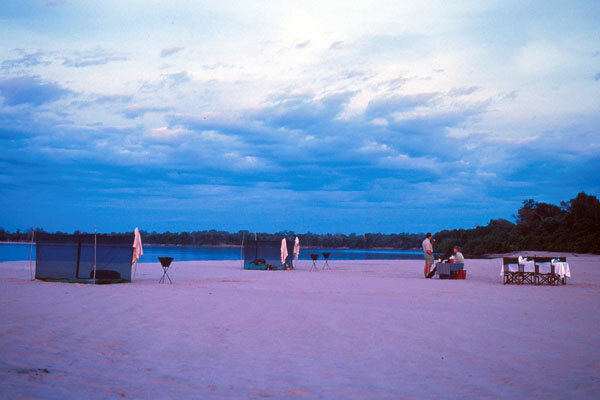 Find out what level you need to be for the trip you are interested in. You don’t want to be scared by what you’re doing, nor do you want to be frustrated if you end up riding at a slower pace than you had anticipated. 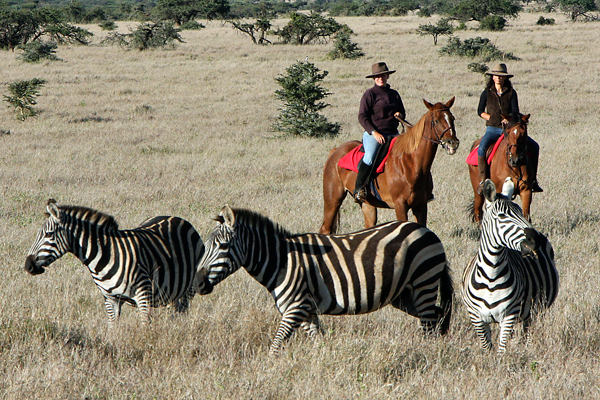 Here are some of our top tips on riding safari planning, and packing clothes for a riding safari.